What's happening at Casio Education? Looking for where to buy Casio Calculators? Check out these fine retailers and distributors near you! Casio Education's FX-9750GIIBU Graphing Classroom Calculator. Casio Education's FX-9750GIIPK Graphing Classroom Calculator. Casio Education's FX-9750GII Graphing Classroom Calculator. Casio Education's FX-9750GII School Graphing Classroom Calculator. Casio Education's FX-9860GII S Graphing Classroom Calculator. Casio Education's FX-9860GII Graphing Classroom Calculator. Casio Education's fx-CG50 PRIZM Graphing Classroom Calculator. Casio Education's fx-CG50 PRIZM School Graphing Classroom Calculator. 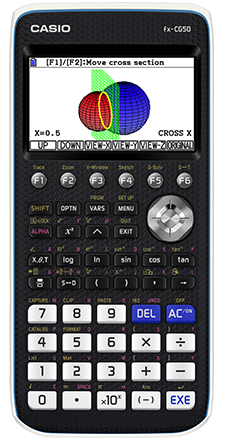 Casio Education's fx-CG500 PRIZM Graphing Classroom Calculator. Casio Education's fx-CG10 PRIZM School Graphing Classroom Calculator. 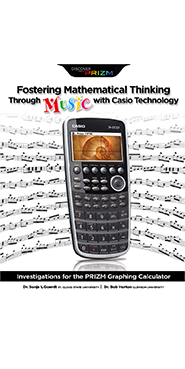 Casio Education's fx-CG10 PRIZM Graphing Classroom Calculator. Casio Education's ClassPad fx-CP400 Graphing Classroom Calculator. Casio Education's FX-260 School Fraction & Scientific Classroom Calculator. 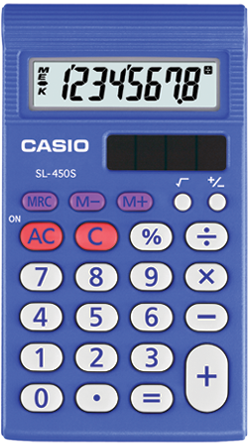 Casio Education's FX-260Solar Fraction & Scientific Classroom Calculator. 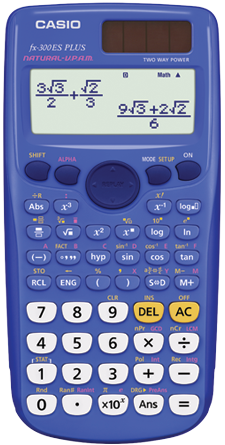 Casio Education's fx-260SolarPK Fraction & Scientific Classroom Calculator. Casio Education's FX-300MSPlus Fraction & Scientific Classroom Calculator. Casio Education's FX-300ESPLUS Fraction & Scientific Classroom Calculator. Casio Education's fx-300ESPLUSBU Fraction & Scientific Classroom Calculator. Casio Education's FX-55PLUS Fraction & Scientific Classroom Calculator. Casio Education's fx-300ESPLUSPK Fraction & Scientific Classroom Calculator. Casio Education's FX-115MSPlus Fraction & Scientific Classroom Calculator. Casio Education's FX-115ESPLUS Fraction & Scientific Classroom Calculator. Casio Education's fx-991EX Fraction & Scientific Classroom Calculator. Casio Education's FC-200V Fraction & Scientific Classroom Calculator. Casio Education's FX-300MSTP Fraction & Scientific Classroom Calculator. Casio Education's FX-55PLUSTP Fraction & Scientific Classroom Calculator. Casio Education's FX-300ESPLUSTP Fraction & Scientific Classroom Calculator. Casio Education's HS-4G Basic Classroom Calculator. Casio Education's HS-8VA Basic Classroom Calculator. Casio Education's SL-450S Basic Classroom Calculator. Casio Education's SL300VC-OE Basic Classroom Calculator. Casio Education's SL300VC-PK Basic Classroom Calculator. Casio Education's SL300VC-PL Basic Classroom Calculator. Casio Education's SL300VC-YW Basic Classroom Calculator. Casio Education's SL300VC-BE Basic Classroom Calculator. Casio Education's SL300VC-GN Basic Classroom Calculator. Casio Education's SL-300SV Basic Classroom Calculator. Casio Education's SL-100L Basic Classroom Calculator. Casio Education's SL-200TE Basic Classroom Calculator. Casio Education's SL450LNS1TP Basic Classroom Calculator. Casio Education's Workbooks for the classroom. The ED-WKBK-STATS features lessons and activities for any math curriculum. Casio Education's Workbooks for the classroom. The ED-WKBK-CALC features lessons and activities for any math curriculum. Casio Education's Workbooks for the classroom. The ED-WKBK-PRECALC features lessons and activities for any math curriculum. Casio Education's Workbooks for the classroom. The ED-WKBK-ALG1 features lessons and activities for any math curriculum. Casio Education's Workbooks for the classroom. The ED-WKBK-GEOM features lessons and activities for any math curriculum. Casio Education's Workbooks for the classroom. The FX55PLUS-Workbook features lessons and activities for any math curriculum. Casio Education's Workbooks for the classroom. The ED-WKBK-SL450 features lessons and activities for any math curriculum. Casio Education's Workbooks for the classroom. The ED-WKBK-300ESPLUS features lessons and activities for any math curriculum. Casio Education's Workbooks for the classroom. The ED-WKBK-ALG2 features lessons and activities for any math curriculum. Casio Education's Workbooks for the classroom. The ED-TXTBK-FOSTERSTEM features lessons and activities for any math curriculum. Casio Education's Workbooks for the classroom. The ED-TXTBK-FOSTERSTATS features lessons and activities for any math curriculum. Casio Education's Workbooks for the classroom. The ED-TXTBK-FOSTERMUSIC features lessons and activities for any math curriculum. Casio Education's Workbooks for the classroom. The ED-TXTBK-FOSTERMG features lessons and activities for any math curriculum. Casio Education's Workbooks for the classroom. The ED-TXTBK-FOSTERADVGEOM features lessons and activities for any math curriculum. Casio Education's Workbooks for the classroom. The ED-TXTBK-FOSTERADVALG features lessons and activities for any math curriculum. Casio Education's Workbooks for the classroom. The ED-TXTBK-FOSTERALG features lessons and activities for any math curriculum. Casio Education's Software & Additional Products for the classroom. 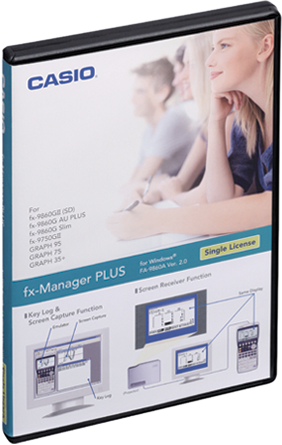 The FX-ESPLUSEMULATOR makes CASIO in the classroom easier for teachers and students. Get Manuals for your CASIO Graphing, Fraction, Scientific, and Basic Calculators.